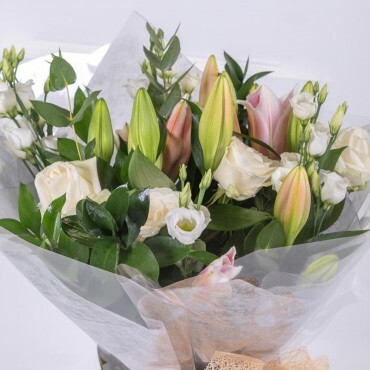 Our range of hand-tied bouquets are ideal for simply saying, ‘I love you’ or brightening someone’s day. Fuss-free and guaranteed to make someone smile. 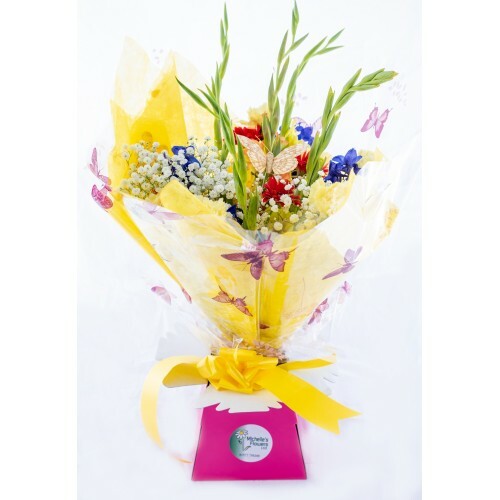 All of our bouquets are presented in a bubble of water in a gift box. Available in a range of colours, no matter what time of year. 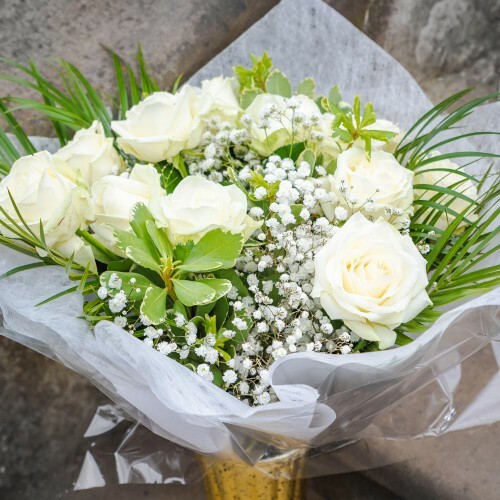 Our traditional hand-tied bouquet is our everyday favourite, perfect for customers of all ages. Looking for something less cliché than a dozen red roses? 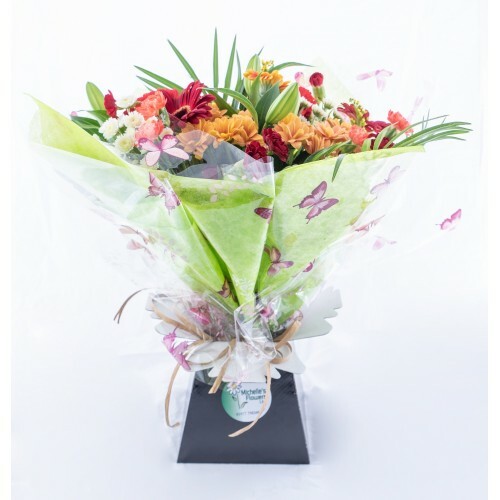 Say how much you care with a sophisticated..
A warm blend of deep reds and burnt orange offset against dark greenery and white spray flowers. 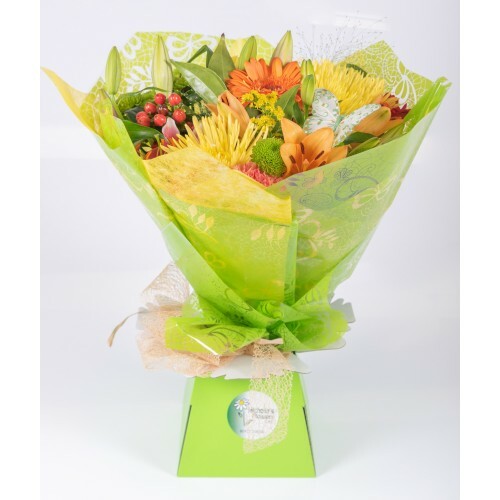 Han..
An explosion of colour – this vibrant bouquet brings together a rainbow mix of shades and blooms. 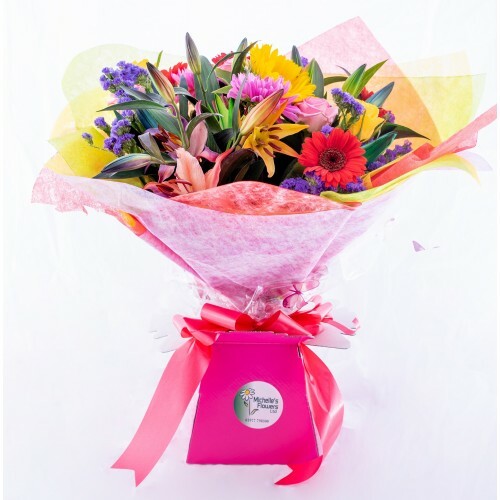 Le..
A feminine mix of pinks, purples and whites, sprinkled with a touch of sparkle and finished off with..
Sunshine yellows work with violet delphiniums and red gerberas to create a contrasting colour palett.. These warming brights are sure to make anyone's day. Let us mix a range of vibrant orange, bold yell..